With over 1,550 stores and years of experience, SPAR Austria is a source of inspiration. 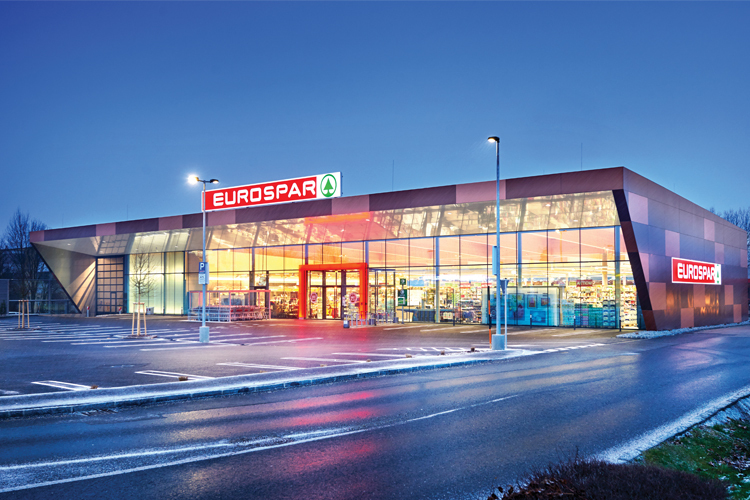 Here, we feature two fantastic EUROSPAR Supermarkets in the region of Marchtrenk in Upper Austria. Both supermarkets were recently renovated to be in keeping with SPAR Austria’s new EUROSPAR design style, truly living up to the title of Best in Class. EUROSPAR Pupping, first built in 1987 and renovated for the first time in 2002, underwent a complete rebuild in 2017. The supermarket, which welcomes customers with a beautiful instore flower display that showcases seasonal arrangements, has a gross sales area of 1,269 m2. The expansive fruit and vegetable section offers customers an abundance of choice with an emphasis placed on locally-sourced produce. EUROSPAR Pupping is open six days a week and has 55 employees. The key department is the newly designed delicatessen area, which includes a fresh fish section, a large selection of cheeses and meats, a coffee counter and a spice zone, to name just a few. Customers are also able to press their own fresh orange juice instore. The product offer boasts over 18,000 SKUs, catering to the needs of all customers with a good selection of vegetarian and vegan products. Serving approximately 8,000 customers per week, a large focus has been placed on employee training with workshops led by colleagues from the headquarters in Salzburg. Special attention in this regard has been given to informing employees of the new EUROSPAR Supermarket (ES) 2.0 concept, based on the highly successful SPAR Supermarket (SM) 2.0 design style that was rolled out last year. One of the defining characteristics of the ES 2.0 design concept is the Italian-style market place at the entrance to the store, beautifully showcasing all the fresh produce. Instore energy saving measures were a key part of the new store design and include: A new commercial refrigeration system with CO2 as the refrigerant, energy recovery for heating from the industrial refrigeration system, and solar panels on the roof of the supermarket. Key to EUROSPAR Pupping’s success is its location, where it has access to many specialised and locally-sourced products and services. 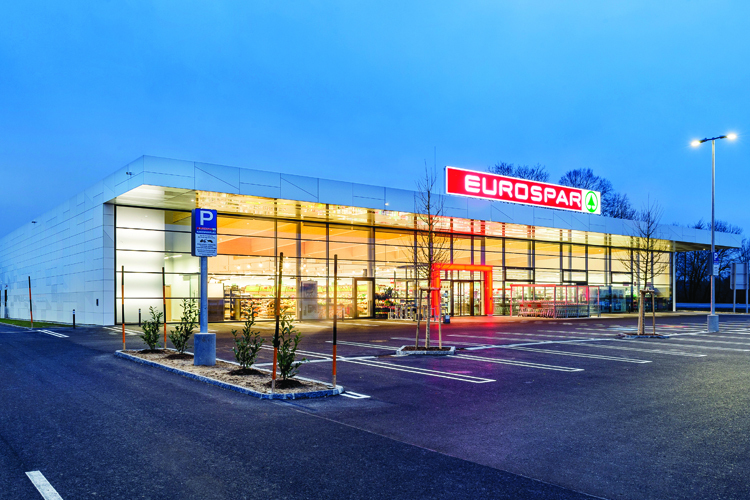 Having only opened its doors for the first time in December 2017, EUROSPAR Pettenbach is one of the newest additions to SPAR Austria’s store portfolio. With a gross sales area of 1,390 m2, the supermarket is a new-build situated in a great location at a much-used traffic round-about. Utilising the newly developed layout and design for EUROSPAR Supermarkets, this store offers customers a large and varied grocery selection with a focus on a fresh and an inviting deli range for which SPAR Austria is renowned. The large, open-planned bakery department allows customers to shop with ease with clear instore communications and a host of delectable looking displays of baked goods. The spacious aisles and neatly stacked shelves make shopping a treat, with customers able to navigate their way through the supermarket in a relaxed fashion. The instore merchandising is also of a high standard in EUROSPAR Pettenbach. Despite it being a format that is traditionally aimed at weekly family shopping needs, the supermarket includes a strong Food-to-Go offer with good displays of grab-and-go meal solutions for any time of day. Open six days a week, the supermarket employs 43 people and serves approximately 6,200 customers per week. The same energy saving solutions as seen in EUROSPAR Pupping have been implemented in this store and great attention has been given to employee training to ensure a high standard of customer service. This feature was first published in Issue 3 2018 of our quarterly magazine, Contact International.